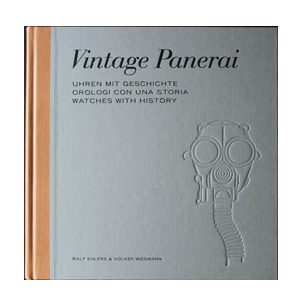 “History1” comprehensively documents four Vintage Panerai watches and their pasts. This book documents the stories of three german “Kampfschwimmer” units, their training in Italy and northern Germany, their missions at the eastern front in the last weeks of the 2nd World War, followed by the story of the commander of the italian submarine Ambra who delivered SLC and Gamma units to their target zones at the harbours of northern Africa. These four personal stories are building the columns of moving chapters together with detailed views on their watches, using extracts of the authors’ database of today existing Vintage Panerai watches. Almost two years of intensive research, diary extracts, interviews with the veterans, combined with more than 250 historical photos, maps, documents from allied secret services and 30 illustrations are writing Panerai’s unique history. 26 x 26 cm, 420 pages, trilingual (German, Italian and English language in one book), hardback jacket, slipcase.